Perry Block - Nouveau Old, Formerly Cute: If the Lone Ranger had a Jewish Faithful Friend, or Hi-Ho Hyman Silvers! 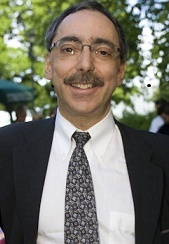 If the Lone Ranger had a Jewish Faithful Friend, or Hi-Ho Hyman Silvers! But things have not gone so well for the Lone Ranger since then. A few years ago, the Ranger's long-time Faithful Friend Tonto walked out on him - claiming he wanted to do a "single" - and began dating Cher. The Masked Man hastily started interviewing for a new Faithful Friend. The Ranger was refusing to interview anyone who wasn’t wearing feathers! The Equal Employment Opportunity Commission (EEOC) swiftly intervened and the Masked Man agreed to embrace diversity and reach out to white guys. "A fiery horse at the speed of light, a cloud of dust, and a hearty Hi-ho Hyman Silvers! The Lone Ranger!" The Ranger hired 57-year-old Hyman Silvers, an accountant from Queens NY, as the new Faithful Friend. Mr. Silvers had done well in the personal interview, making the Ranger laugh when he answered the question "Where do you see yourself in five years?" with “Buried deep within the arms of a young shikseh, Mr. Ranger." At first there were problems along the trail. "I can't really help you make camp, Lone, but I'll be glad to help you make reservations." 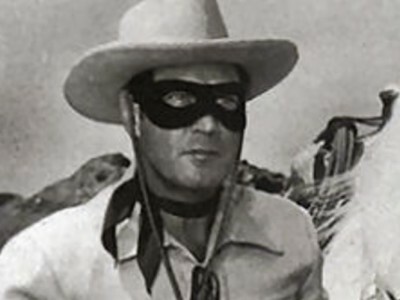 Gradually Hyman Silvers developed into a worthy Faithful Friend, trusted and appreciated by the Lone Ranger himself. “That mask is totally farcacta, Lone!” added Hyman Silvers. “That’s right, Faithful Friend,” agreed the Lone Ranger. “Now get the hell out of here and make camp, you schlemiel!" Thanks, Suzanne. But as it would be said today, "his former faithful companion, Mr. Cher!"